Cosmic Ray research at the high altitude station on Mt. Aragats started in 1943 by the Artem and Abraham Alikhanyans. Since then research at the Cosmic Ray Division (CRD) of the Alikhanyan National Laboratory continues at the two high altitude stations on the slopes of Mt. Aragats, as well as the headquarters in Yerevan. CRD is one of the world’s largest institutions investigating practically every aspect of cosmic ray physics and recently started research on the atmospheric electricity. Scientific projects on Mt. Aragats are geared towards studying the most intriguing issues in astroparticle physics, solar-terrestrial connections, space weather and geophysics. Recently Aragats physicists made several important discoveries detecting numerous Thunderstorm ground enhancements (TGEs) – fluxes of electrons, gamma rays and neutrons originated in the thunderclouds. The geographic coordinates of the CRD research station on Mt. Aragats are N40 30', E44 10'. The Aragats station is 3200 m above sea level and the Nor-Amberd station is 2000 m above sea level. At the Aragats station, the average winter temperature is -15 C, with the minimum reaching down to -40 C. The average summer temperature is 12 C with the maximum reaching up to 20 C. Average wind velocity in summer is 6 m/sec and in the winter it is 10 m/sec occasionally reaching as high as 40 m/sec. Relative humidity is 72-80 %. Snow covers the ground 250 days a year with the average depth of 165 cm. The upper station is located above the tree line on the shore of lake Kari. Both stations lie on solid rock foundation of volcanic origin. The Aragats cosmic ray research stations include all the necessary conditions for stable year-round operation: electrical network, computer network, facilities for the detectors, conference rooms, heated dormitories, and restaurants for the staff spending one-month shifts to maintain the stations 24 hours/day, year round. Diesel generators provide the stations with uninterrupted electricity in case of an emergency outage in the main power lines. The experimental facilities are interconnected with each other and with the Internet via the Local Area Network (LAN) and wireless modem connections. Proximity of the stations to Yerevan, the capital of Armenia, and the Zvartnots international airport make them ideal for visits by international research teams. The pleasant alpine environment and the availability of living accommodations make the lower station ideal for summer schools, scientific workshops and conferences. Approximately 100 personnel, scientists, scientific technicians, and support staff, make up the CRD team. Students from the Yerevan State University conduct their master’s and PhD thesis projects at the CRD under the guidance of the CRD scientists. The Aragats Space Environmental Center (ASEC), established in 1999, combines solar activity monitoring with online data accessibility. It promises valuable insight into the mechanisms of ion acceleration on the Sun and interactions of the interplanetary coronal mass ejections with magnetosphere. Results of the current research will enable CRD to use the online data analysis and forecasting capabilities to execute alerts and warnings about severe radiation and geomagnetic storms. These early warnings can be valuable for protecting satellites, personnel in space and ground based systems such as power grids and pipelines. 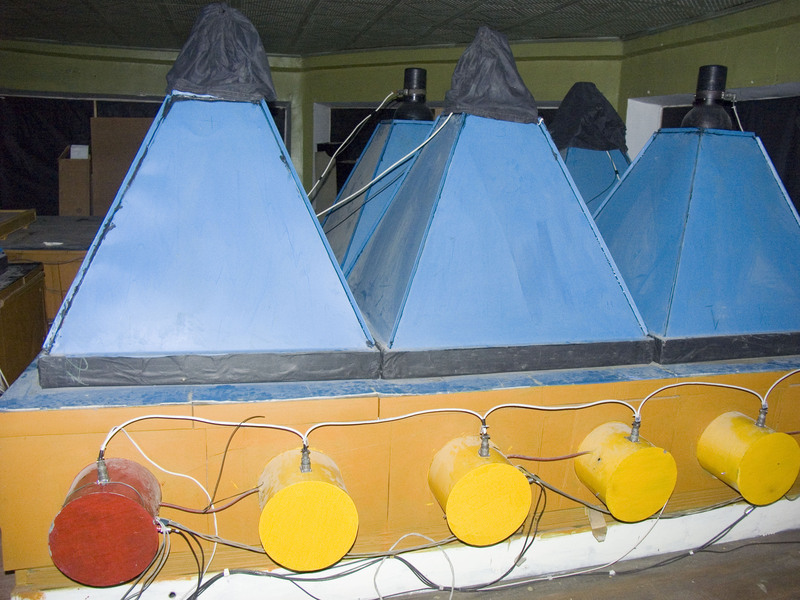 The Aragats Space Environmental Center uses several detector systems on Mt. Aragats: the Aragats Solar Neutron Telescope, the Aragats Neutron Monitor, the Nor-Amberd Neutron Monitor, the Nor-Amberd Multidirectional Muon Telescope, and the Aragats Multidirectional Muon monitor, SEVAN detectors and other particle detectors. Recently the precise sensors measuring electrical and magnetic fields were added to particle detecting systems in Nor Amberd and Aragats. 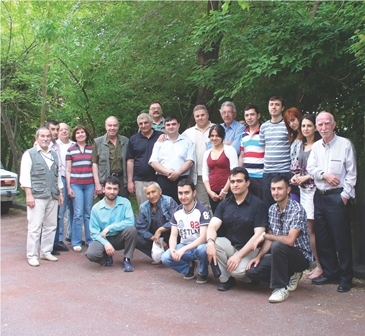 All the research facilities are networked together and with the Yerevan server through high-speed, wireless connection. Thus, data is available online and ready for immediate analysis. The advanced visualization and analysis packages allow fast presentation of the multivariate time series, correlation analysis and bump hunting. These features are a step towards the online warning services planned for predicting dangerous consequences of the violent Space and atmospheric storms. The Cosmic Ray Division in Armenia is a member of the neutron monitor and solar neutron telescope networks and Eurasian neutron monitor database (NMDB). The SEVAN particle detector network measuring secondary cosmic rays at middle-high latitudes have its nodes in Armenia, India, Croatia Bulgaria and Slovakia. The local groups with Armenian physicists are continuously monitoring changing fluxes of secondary cosmic rays.State-of-the-art cosmic ray research on Mt. Aragats in Armenia continues to contribute to the quest for better understanding of our universe, and towards practical applications on Earth. CRD in Armenia, with its unique high altitude stations, is part of many international collaborations. Data from CRD, combined with data from stations all around the globe, contribute to a more complete understanding of the sun and solar-terrestrial connections. The CRD mirror servers in Europe and USA enlarge possibilities of scientific community to observe on-line changing fluxes of all species of secondary cosmic rays. Information from CRD detectors are used both for research of solar modulation effects posed by violent solar bursts and coronal mass ejections as well as for research in the new field of the high energy atmospheric physics. Data from Aragats monitors enters several worldwide networks of particle detectors and international databases. Cosmic Ray division initiates several international conferences: on Solar extremely events (SEE-2005), Forecasting of the radiation and geomagnetic storms (FORGES 2008), Thunderstorms and particle acceleration (TEPA-2010, 2012).